Along with my Emerald&Ash post earlier today I still had to do my daily untried challenge especially since I have so many polishes that fit today's theme, purple. 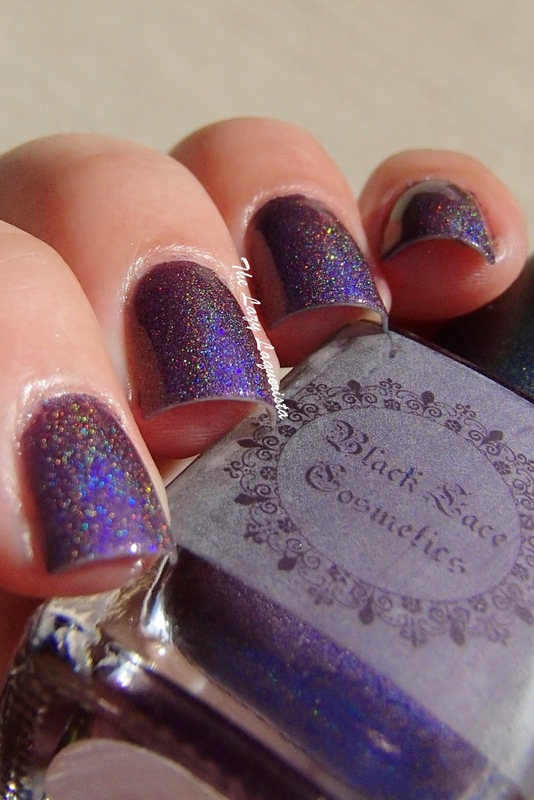 I just a cosmetics and polish swap with the maker of a new indie line, Blacklace Cosmetics. She asked if she could send some of her brand's polish and I was like Yes! I am always open to being a polish guinea pig. 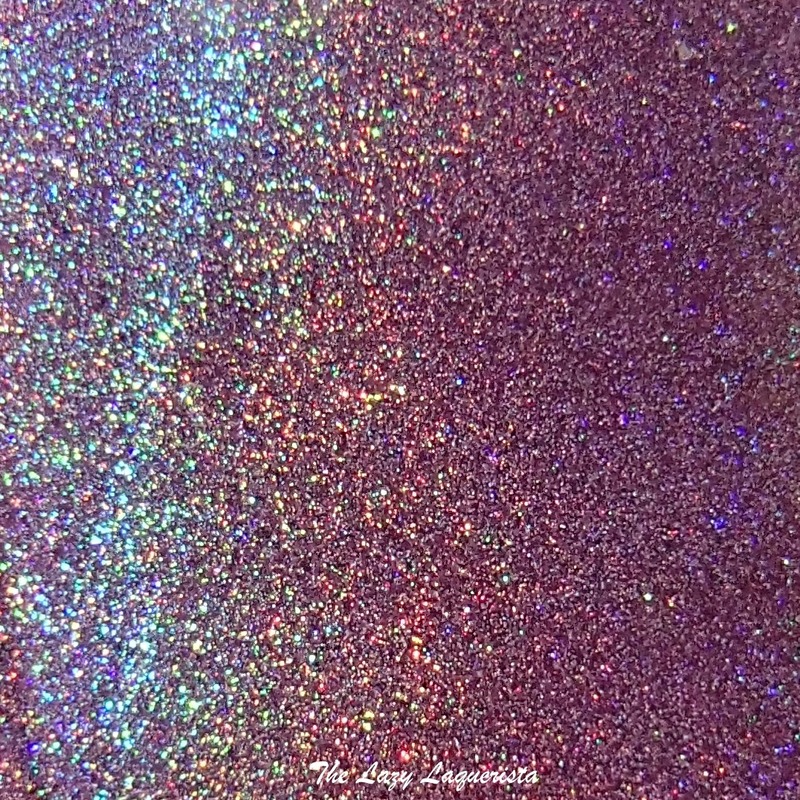 Dionysus is a dark purple linear holo. The formula was great, highly pigmented and went opaque in two coats. I didn't have any issues with application. Photos show two coats of Dionysus with one coat of CND Super Shiney top coat in natural lighting.